We’d love your help. 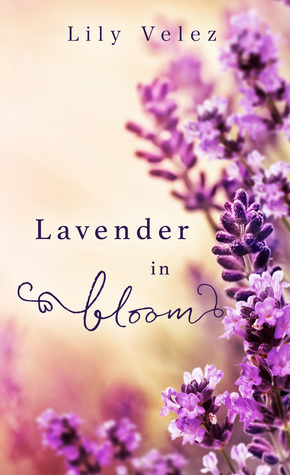 Let us know what’s wrong with this preview of Lavender in Bloom by Lily O. Velez. It’s the year 1802 in Avignon, France. To ask other readers questions about Lavender in Bloom, please sign up. Does this book have a sad ending? This bittersweet historical has a smooth, slightly unique writing style that fits with the era and characters. The definition of slow burn, it moves the main character through a long process of finding himself, and coming out of his shell, just a little, to the man who is at first his only friend, and then more. But in this age of church-centered life and class-distinctions, two men together fight a very uphill and risky battle, and their own fears may be their worst enemies. Sad and sweet, this This bittersweet historical has a smooth, slightly unique writing style that fits with the era and characters. The definition of slow burn, it moves the main character through a long process of finding himself, and coming out of his shell, just a little, to the man who is at first his only friend, and then more. But in this age of church-centered life and class-distinctions, two men together fight a very uphill and risky battle, and their own fears may be their worst enemies. That said, the writing is stunning and poetic. It’s severely emotional! The MC’s are Noah and Jeremie and they are amazing. They are realistic and I had a very strong connection with them. This story is strong with the visuals and therefore makes falling into it effortless. But even with the personal warning from the author the ending shattered me. Bittersweet isn’t even really the word. But yes, tragic is. A feeling of utter hopelessness. It’s a testament of the writer’s ability to engulf us into the story with her prose, her fantastic characters, and her ability to thrust you into 19th century France as if you're really there. She made me dream and hope with the characters. I feared with them and in the end I mourned. I felt alone and all the beauty I spent hours reading drained away. "Over time, lavender spread throughout all the lands, and it was said that wherever it bloomed, love was present." Sometimes I feel like being sad. Not often, but I occasionally like to read books or movies that break with tradition. And usually break my heart and this book fit the bill. But there is beauty in this tragedy and a lesson. Unfortunately Noah grasps the depth and breadth of that lesson too late. Noah is a young man with a tragic past that has shaped him. He strives to maintain his inner peace through solitude, preferring the company of animals over people and he speaks infrequently. His youngest sister Camilla who's determined to marry before her next birthday puts him directly in the path of Jeremie who will constantly beat upon the walls of Noah's personal fortress. Jeremie and Noah's romance is a slow burn between two men in a time period so full of repression that merely holding hands was considered risqué. Lily Velez captured all the things about this era that make for a great romance. While Noah clings to propriety, duty and all the trappings thereof, Jeremie clings to his revolutionary ideals and longs to forge new paths eschewing the privilege into which he was born. How dissimilar they are was illustrated exceptionally well given the fact that the entire story is told through Noah, who isn't all that perceptive. The writing style is apropos of the era and brimming with lush French imagery; it skirts the purple line but I tend to be drawn to a more flowery style. It's not hard to envision Ms. Velez having a bright future as an author. Lavender in Bloom is reminiscent of Sense and Sensibility, if that tells you anything. She builds Noah and Jeremie's chemistry through yearning looks, stolen moments and furtive touches. And one earth shattering kiss. The addition of Provincial folklore enriched my experience and made it a more enjoyable one. My only quibble is that I didn't feel Noah's love for Jeremie. They spend so much time apart or misunderstanding one another coupled with Noah's naiveté and his tendency towards of forbearance which by extension involved Jeremie thereby making it difficult to believe he shared the profundity of Jeremie's feelings. And by that time it was too late for me to invest anything more than sympathy. Recommended for those who enjoy a bittersweet historical romance. The first thing I need to say is that Lily Velez has a gift. A gift for writing, namely for describing surroundings, making comparisons, expressing sentations in words you'd never thought of... It's beautiful, really. Another thing that bothered me was the fact that when telling us about a particular scene she'd sometimes go back to (untold) scenes that happened in the past, this in the middle of a paragraph, thus veering the story in a different direction and making me a bit confused and then forgetful about what's happening in the present. В общем, у меня создалось впечатление, что я читаю сказку, поэтому до самой последней строчки я ждала хэппи-энда, что вот сейчас появится добрая фея и все исправит. Но нет. Wow. Just wow. I’m not even sure where to begin with Lavender in Bloom. When I chose this book for review, I never expected to be so blown away, but I knew from the first page that I was reading something special. The author does an amazing job of transporting us to the French countryside and doing so in such a way as to be relatable to almost every reader. Anyone who has lived in the county or driven by a pasture and smelled the air after hay has been mowed can con A Joyfully Jay review. Wow. Just wow. I’m not even sure where to begin with Lavender in Bloom. When I chose this book for review, I never expected to be so blown away, but I knew from the first page that I was reading something special. The author does an amazing job of transporting us to the French countryside and doing so in such a way as to be relatable to almost every reader. Anyone who has lived in the county or driven by a pasture and smelled the air after hay has been mowed can conjure an image of the farm that Noah calls home. The writing is poignant and evocative without ever seeming melodramatic or excessive. Noah and Jeremie exist as utter opposites save when it comes to the passions they share for the things they love. Noah is quiet and stoic and cares for little save his craft and his family. He is isolated from the world because solitude is comfortable and as a result he is viewed as lacking or different. Jeremie is gregarious and asks questions without ever needing the answers. He sees Noah’s silence as perfectly normal and understands the other man’s need for perfection as a mirror for his own passions. They are uniquely suited for one another, but familial obligations; societal expectations and their own fear prevent them from every truly connecting. 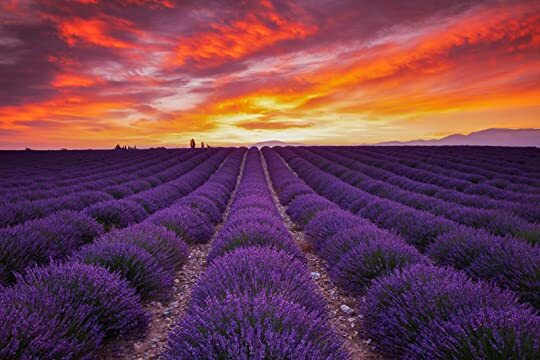 There are no happy endings with Lavender in Bloom. There is pain and passion and perhaps, at the end, a moment of fragile triumph, but no eternal romance. We know that Noah and Jeremie are doomed almost from the moment they meet and yet theirs is a journey that must be taken. Lavender in Bloom is the story of reckless abandon, desperation, and even moments of comfort and happiness. But ultimately it is the story of acceptance – if being strong enough and brave enough to live the life you want, in spite of grief and fear and all the things that destroy our dreams of a different world. Slightly Spoilerish(? ): Calling this book a tragic love story isn't a spoiler, its part of the synopsis and the author, Lily Velez, is very clear about this. That being said, I wasn't prepared for the fist that clenched my heart for so much of this novel. It was beautifully realistic - meaning sometimes you don't fight for your love, sometimes you convince yourself its better not to because they world is horrible and you are too afraid of taking a chance, and like in real life, you really don't Slightly Spoilerish(? ): Calling this book a tragic love story isn't a spoiler, its part of the synopsis and the author, Lily Velez, is very clear about this. That being said, I wasn't prepared for the fist that clenched my heart for so much of this novel. It was beautifully realistic - meaning sometimes you don't fight for your love, sometimes you convince yourself its better not to because they world is horrible and you are too afraid of taking a chance, and like in real life, you really don't learn until its too late. 4.5 of 5 stars – Tragic Gay YA Love, All the More Moving. I love various gay genres, including historical romance, and this was refreshingly in a more serious, even tragic tone, as well as in France, and Lily Velez did all that justice. In the classic Greek dichotomy of comedy and tragedy, this is indeed the latter. Not unknown, but certainly not common amongst all the feel-good m/m roma 4.5 of 5 stars – Tragic Gay YA Love, All the More Moving. In the classic Greek dichotomy of comedy and tragedy, this is indeed the latter. Not unknown, but certainly not common amongst all the feel-good m/m romances where readers yearn for a HEA where love and hope overcomes all the adversity. I'm there too, but sometimes I also want some balance. Alas, reality more often than not in the long history of gay love did not have even have a HFN, especially in the days this was set. In reality, much more often than not, there was no HEA or even HFN for gay lovers like this. This is simply the tale of one of those loves, tragic in its realism, that has been lost to history, but which literally has cried for justice for centuries. Those of us who have lived this even today, know this sad reality more than those who have sympathetically observed it, as is true with most forms of prejudice. So I loved this for its truth, and for Velez’s form of bravery for going this route. And Velez told her story well. Her style was eloquently prosaic, while still being easy to read and flowing nicely. From the very first paragraph, she immediately drew me in. Her descriptive prose painted a vivid picture and helped me visualize the scenes, people, action and times, as well as feel the emotions, moving me to cry at the end. Like a good tragedy, you are drawn in to care for the two MCs and hope for their well-being, enjoying their growing attraction, but with foreshadowing that things would not bode well, and continuing to engage you to see how things would ultimately play out. The story is told effectively from the third-person POV of Noah (17) – adopted, cute, very shy and innocent, even naïve. But this was sometimes laid on a bit thick, even given his personality, childhood tragedy, and rural upbringing. I also liked his slightly older, handsome, aristocratic friend, Jeremie – "To him, a world was simply not a world worth living in if it didn't contain books." Some of the other characters were fleshed out pretty well too, but there were times when it got a bit stereotypical – loving mother, caring father, manipulative sister, the friend's father and mother cruel and homophobic. But mostly Velez added a personal human touch for these people, too. This is a beautiful, heartbreaking book, that left me in real, literal tears at the culmination of it. It tells us a bittersweet tale of two men in 19th century France, and the growth of their relationship from acquaintances, to friends, to something more. A true slow-burn romance. I enjoyed this story very much, and I found the author had a great gift for prose, painting the landscape both physical and emotional with lush and evocative description. That said, there really is such a thing as too This is a beautiful, heartbreaking book, that left me in real, literal tears at the culmination of it. It tells us a bittersweet tale of two men in 19th century France, and the growth of their relationship from acquaintances, to friends, to something more. A true slow-burn romance. I enjoyed this story very much, and I found the author had a great gift for prose, painting the landscape both physical and emotional with lush and evocative description. That said, there really is such a thing as too much of a good thing, and I did find myself skimming over some of her lovely comparisons simply because there were too many of them, and because some were hyperbolic enough to stretch credulity. 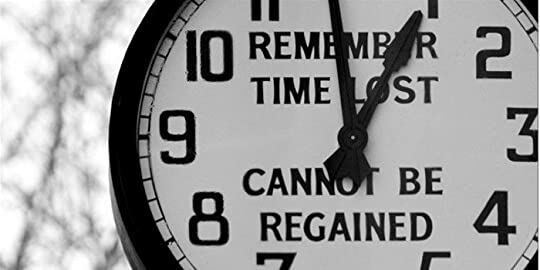 The slow growth of romance really suited the author's style of writing, as well as the time period, putting one in mind of romances written during the period. It was appropriate and very sweet, and it was a refreshing change from many of the stories in this genre on the market. Overall, this was a very enjoyable story. I know not many people may have a special fondness for tragic love stories but, when they are well executed, I do. This one, for the most part, did it. True, there were some things that may have earned my complaints: I didn't like the way Jeremie's character arc was handled in a specific aspect, I felt it cheapened his character, in a way- even though his questionable actions did correspond with the impulsive nature of a desperate young man. Even then, it was frustrating. The writing is rich and colorful. Sometimes too colorful, though. At times it felt like a psychedelic experience of the dizzying variety. So, while the author's skills are obvious, the effect sort of wears off at the evidence of her inability to find balance and opportunity. Not every single sentence is mandatory for showing off. It was at times a bit distracting, not to say off-putting. Excess is never a good thing, and this book was excessive in the twist and turns of elaborated sentences harbouring words that, while in the right measure and context may have been pleasurable, in this case they simply were too much. Powerful. Emotive. Memorable. ...and very beautifully written. 1) Not your usual m/m romance, by far. A literary novel of higher ranks. The shimmering heat of Southern France, the heady perfume of lavender on the fields, the labour but also the freedom of a rural society, the chill in the château; two young and confused and lost and searching souls, the barrier in 19th century and the barrier in your own heart and head; joy and wonder and sadness and despair... The author draws a picture like a tableau of a famous impressionist artist, and draws the reader in, from warm summer winds to absolute heart wrench. I do not shed tears easily. I did this time. I bawled my eyes out over this one. Definitely not one for the faint hearted. The prose was maybe a bit too purple in places, particularly at the start when it seemed like every single thing about the farm and Avignon was described in great detail. However, once Jeremie arrived on the scene that descriptiveness added to the intensity of Noah and Jeremie's relationship. So it works very well later on when everything takes on a much greater meaning than what's on the surface. And it's interesting I bawled my eyes out over this one. Definitely not one for the faint hearted. The prose was maybe a bit too purple in places, particularly at the start when it seemed like every single thing about the farm and Avignon was described in great detail. However, once Jeremie arrived on the scene that descriptiveness added to the intensity of Noah and Jeremie's relationship. So it works very well later on when everything takes on a much greater meaning than what's on the surface. And it's interesting to see how much life Jeremie brings to a place that is already pretty wonderful. I wasn't so enamoured of the habit of describing what was said rather than using dialogue. It may be that was done for a reason I don't know of, but as it is that didn't work for me. 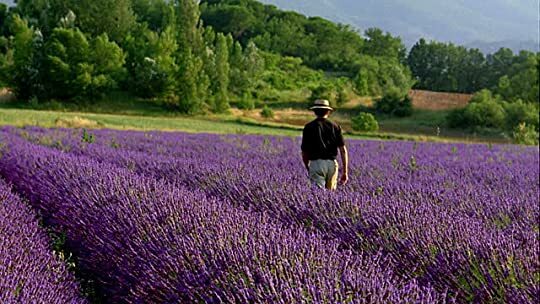 I loved the lavender festival and the tale of the sword brothers, I haven't heard that one before and I wondered if it was well known in France. I liked that Camilla, irritating as she was, had some redeeming features. The one thing I was really disappointed about was that Jeremie's letter wasn't written out in his words. Three paragraphs and I really wanted to know what they were! I think it was a mistake not to include them. The POV from Noah works perfectly, but that letter is the heart of Jeremie and it seems tragic not to have included it in his own voice. Tragic love story set in early 1800s France. Noah, a nearly mute farm boy is wooed by a Jeremie, a wealthy fellow who's preparing to open a bookstore in the town of Avignon. Things take a sad turn when a forced engagement interrupts their budding attraction. The prose is florid, descriptive and passionate. The descriptions of the lovely farm versus Jeremie's stuck-up wealthy parents and their lavish yet hollow mansion is clear. What could have been a happy ending is more realistic, with plenty of Tragic love story set in early 1800s France. Noah, a nearly mute farm boy is wooed by a Jeremie, a wealthy fellow who's preparing to open a bookstore in the town of Avignon. Things take a sad turn when a forced engagement interrupts their budding attraction. The prose is florid, descriptive and passionate. The descriptions of the lovely farm versus Jeremie's stuck-up wealthy parents and their lavish yet hollow mansion is clear. What could have been a happy ending is more realistic, with plenty of foreboding, including specifics to a fable relating to the title. I love the writing style. The author has a gift for prose and her writing enables you to visualize and imagine life in 19th century France very clearly. She is able to describe and give life to the characters strongly that after reading the book, you'd feel like you've known the MC's for quite some time now. -- and believe me that they felt too real for me that after finishing the book in 4 hours, I felt torn and unable to get over the fact of how the book ended. Lavender In Bloom is a book that sent me through every emotion imaginable and then back again! 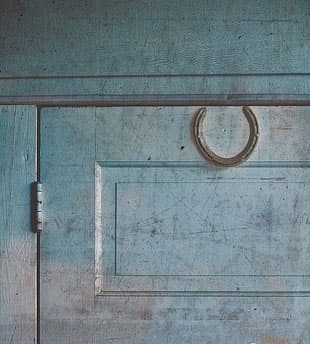 It’s a beautifully written story about acknowledging and listening to your heart, your dreams, and combating both the fears that are inside you and those that are within others, which can be difficult in a rural 19th-century town. The characters were lovable and enjoyable. It was easy to get to know them right from the start. Noah and Jeremie are wonderful main characters, relatable, well-rounded, and Lavender In Bloom is a book that sent me through every emotion imaginable and then back again! It’s a beautifully written story about acknowledging and listening to your heart, your dreams, and combating both the fears that are inside you and those that are within others, which can be difficult in a rural 19th-century town. The characters were lovable and enjoyable. It was easy to get to know them right from the start. Noah and Jeremie are wonderful main characters, relatable, well-rounded, and embody the hopes, fears, and dreams everyone has. Their personalities jump from the pages. The supporting characters only add to them throughout the story. I fell in love with the characters, smiled with them, cried with them, rooted them on, and just became 100% invested in them and their journey. The writing and descriptions put me right into the story from page 1 and they still hung on even after I finished! It’s a wonderful book and it definitely didn’t disappoint! Highly recommended! What a tragically sad drama. We can't really describe it as a romance, still it was way to sad. Ending was simply horrible! I'm rating the story with 2 star because of an emotional unhappy ending. Beautifully written. Emotionally moving. Would have been 5 stars, but I really hate to cry. “Noah was a funeral pyre. He was burning. The flames rose to staggering heights and blazed in white, hot tongues. Jeremie had once told him a story of the burial rites of the Norse. They’d burn their dead, believing the high smoke carried their loved ones’ souls to Valhalla. Noah was beyond Valhalla. Beyond the creamy spaciousness above the clouds, beyond the limits of the very earth. He floated among the stars, joined them in holy communion, knew each one by name. Then they were within him, scores of them, bright and hot, turning his ribs into a furnace as they shifted and created constellations in his soul. And all the while, the summer sang in his lungs.